All business owners want to hire employees that contribute to the success of the business, not employees that cost the business money. Auto repair shops understand the risk management value of a serious employment screening program. Instituting a quality pre employment screening program is the necessary first step to be taken. A quality employment screening program will include a thorough criminal record background check, a pre employment drug screening and an employment driving record. Auto repair shops know the cost of a "Bad Hire" is incalculable. Losses arising out of employee or manager theft, embezzlement, credit card fraud, harassment, workplace violence and other crimes can bring costly and even disastrous financial consequences to an automotive repair shop, it's employees and it's public reputation. 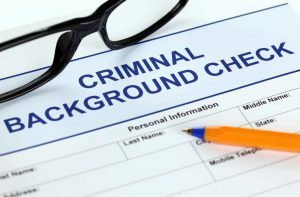 It is not hard to understand the need for a thorough and comprehensive pre-employment screening program that includes a quality nationwide state and Federal criminal record background check for all applicants. Clearly, a quality employment screening program is an automotive repair shop's first line of defense in avoiding losses altogether. And, sometimes it provides the best and perhaps only defense in a negligent hiring claim. Automotive repair facilities also know that "Word" gets around. Automotive repair shops with a thorough pre-employment background check program find that applicants with a serious criminal record are less likely to apply at a their shops. They won't waste their time or yours. Auto repair shop owners know that shops that provide a safe and stable working environment attract the best employees. Employees that are proud to work with other well screened employees. Our job is to help you quickly identify the right people to hire for your repair facility.. Moreover, auto repair shops also need a business solutions partner that provides them with assistance in maintaining compliance with the many complex and frequently changing state and Federal laws governing the employment screening process. Our FCRA compliant employment screening services provide the most effective first step in risk management loss prevention services for your shop. Our instant driving records mean you can determine in seconds whether or not to proceed with the time and expense of the hiring process. Give us a call. 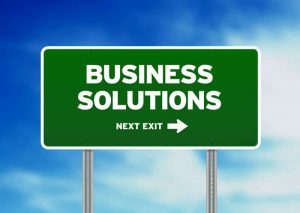 You will find that we know how to serve your business.